Features an authentic look of enviable distinction Crafted from solid brass in the USA . Berkshire hook must be installed with two screws that run through the back of the door on which it is mounted. S Hook Black over Brass 3 1/2H x 2 proj. 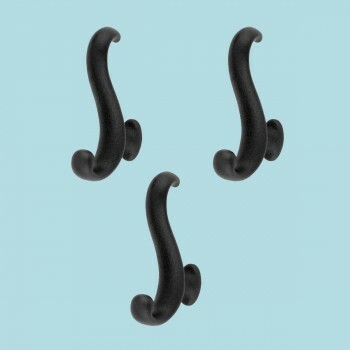 Great hat hook or coat hook.